Start your Doubtful Sound overnight cruise from Manapouri, or board a luxury coach for a convenient round-trip transfer from Te Anau or Queenstown. Your South Island adventure begins with a short trip across island-strewn Lake Manapouri, followed by a bus ride over Wilmot Pass for sensational views of the Fiordland. 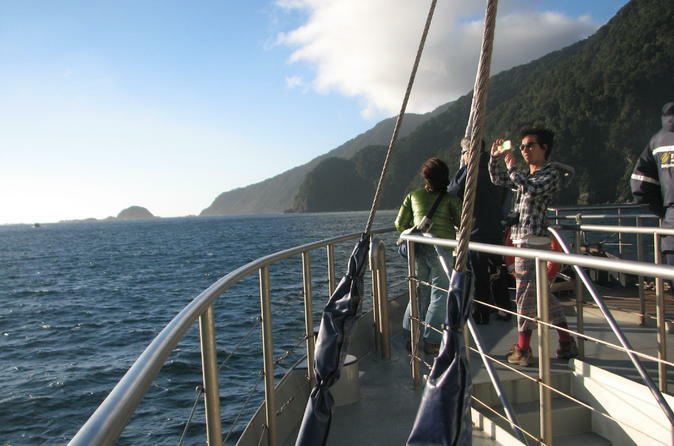 You’ll then descend to Deep Cove in Doubtful Sound to meet the crew and board the Fiordland Navigator. This purpose-built sailing scow, designed with the charm of a traditional sailing vessel combined with modern comforts, includes spacious viewing decks, an observation lounge, a dining saloon and fully licensed bar. 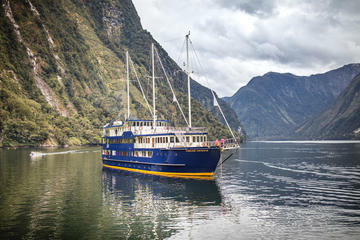 Cruise the entire length of Doubtful Sound — three times longer and 10 times larger than Milford Sound, and the second largest of the 14 fiords in World Heritage–listed Fiordland National Park. With deep inlets and ancient rainforests that cling to soaring granite peaks, Doubtful Sound offers one of New Zealand’s most dramatic landscapes. Your captain navigates the pristine waterway while a specialist nature guide on board explains the vast array of flora and fauna. Search the waters for bottlenose dolphins, New Zealand fur seals and Fiordland penguins in their natural habitats. The crew drops anchor in a sheltered cove in the late afternoon, allowing you to explore the shoreline by kayak or tender craft (small boat) with a nature guide. Dig into a delicious buffet dinner prepared by the onboard chef, and relax in the dining saloon before retiring to your cozy cabin (accommodations are single, twin, triple or quad-share). In the morning, following a cooked or continental breakfast, cruise a little further before returning to Manapouri, where you may be transferred back to Te Anau or Queenstown.